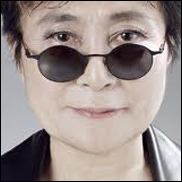 LONDON (VIP–NEWS) — Yoko Ono is to curate next year's Meltdown festival, following in the footsteps of stars such as David Bowie, Ray Davies and Jarvis Cocker. The 80-year-old artist, and widow of John Lennon, said she was "deeply honoured" to be directing the festival on its 20th anniversary. The 10-day event includes concerts, DJ sets, talks, films and the visual arts. Ono's curatorship follows a major exhibition of her work at London's Serpentine gallery earlier this year. She praised the event's "great tradition of experimentalism mixed with classicism that has made the festival such an enduring part of the British arts landscape". No line-up has been announced, but the well-known peace activist is expected to focus on issues such as environmentalism and feminism. "I am now starting to approach names from all over the world, some of whom you will know and some who might be new to your world," said Ono. "Let the fun begin!" The festival takes place at London's Southbank Centre from 14-23 June 2013. Earlier this year, former Cocteau Twins singer Elizabeth Fraser made a rare concert appearance at the 2012 event, which was curated by Antony Hegarty, from Antony and the Johnsons.